Lawrence, Kan. (Jan. 19, 2016) – Leaders of top golf organizations will join together from 3-4 p.m. Feb. 10 for “CEO Roundtable: Issues and Answers” at the 2016 Golf Industry Show in San Diego. Organized by the Golf Course Superintendents Association of America (GCSAA) and presented in partnership with the National Golf Course Owners Association, the annual Golf Industry Show (GIS) is golf course management’s largest trade show and education conference. The CEO panel will include chief executive officers Rhett Evans of the GCSAA, Peter Bevacqua of the PGA of America, Jay Karen of the National Golf Course Owners Association, and Jeff Morgan of the Club Managers Association of America. Geoff Shackelford, a contributor to Golf Digest and the Golf Channel, will moderate. The program will allow these leaders to share their organizations’ specific insights on key industry challenges, including water use, player development and delivering profitability. It will also give the golf industry the opportunity to showcase how allied organizations are working together to strengthen advocacy efforts with governmental policy makers and communicate with golfers of all ages. 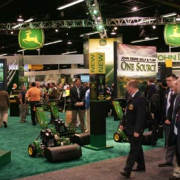 The 2016 GIS, set for Feb. 6-11, will carry the theme “Everything Under the Sun” and will include the GCSAA Golf Championships, followed by four days of an innovative education conference and trade show at the San Diego Convention Center. The nearly weeklong event is designed for the association’s 17,500 members, golf facility owners and managers, and the industries that market to those facilities. More than 500 exhibitors are expected, with most coming from the four sectors of equipment, turf applications, golf carts and accessories. The GIS also features marquee events with entertainment, networking and recognition of award winners and industry leaders, including Herbert V. Kohler, executive chairman of Kohler Co., this year’s recipient of the Old Tom Morris Award. “This is truly the place to be if you are in the golf course management field, as a golf facility owner or an industry partner,” said Evans. The show is being held in San Diego for the third time in seven years. It was also held in San Diego in 2010 and 2013.The next events are scheduled for Orlando in 2017 and San Antonio in 2018. The GIS is presented jointly with the National Golf Course Owners Association (NGCOA), along with supporting organizations: the Golf Course Builders Association of America, the American Society of Golf Course Architects, the National Golf Foundation and the United States Golf Association. 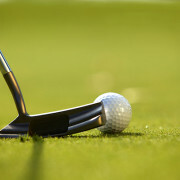 For more information, visit www.golfindustryshow.com. 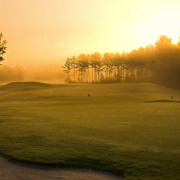 The Golf Course Superintendents Association of America (GCSAA) presents the Golf Industry Show annually. It is an innovative trade show designed for the owners/operators of golf facilities, and the professional members of the golf course and club management industries. Featuring the GCSAA Golf Championships and the GCSAA Education Conference, as well as the largest exhibit floor in the industry, the event combines education, networking and solutions for golf course superintendents, owners/operators, general managers, chief operating officers, architects and builders. The Golf Industry Show is presented jointly with the National Golf Course Owners Association (NGCOA), along with supporting organizations: the Golf Course Builders Association of America (GCBAA), the American Society of Golf Course Architects (ASGCA), the National Golf Foundation (NGF) and the United States Golf Association (USGA). The 2016 event will be held Feb. 6-11 at the San Diego Convention Center. Visit www.golfindustryshow.com.